Located on Hwy 12/60, just one mile West of the Wisconsin River. Limited Service Hotel - Lodging. Year-round accommodations for business and vacations. 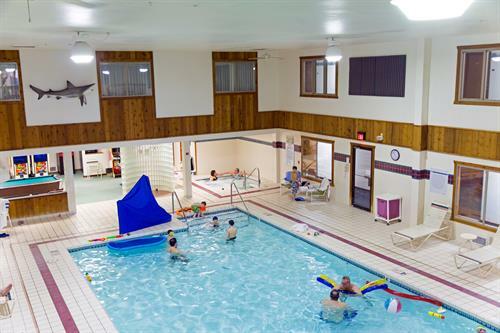 Indoor pool and whirlpool will enhance your relaxing stay. Includes complimentary, expanded breakfast and free wireless internet. Meeting space for up to 50 is available for family or business functions.